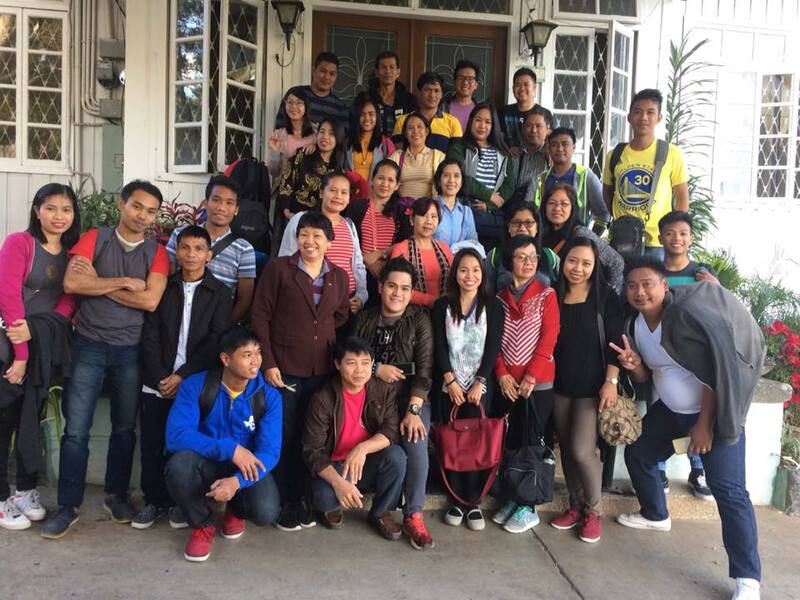 Thirty-four office staff and maintenance personnel of SPUP went on a Lakbay Aral last December 26-28, 2017 and breezed the chilly weather of the summer capital of the Philippines – Baguio City. 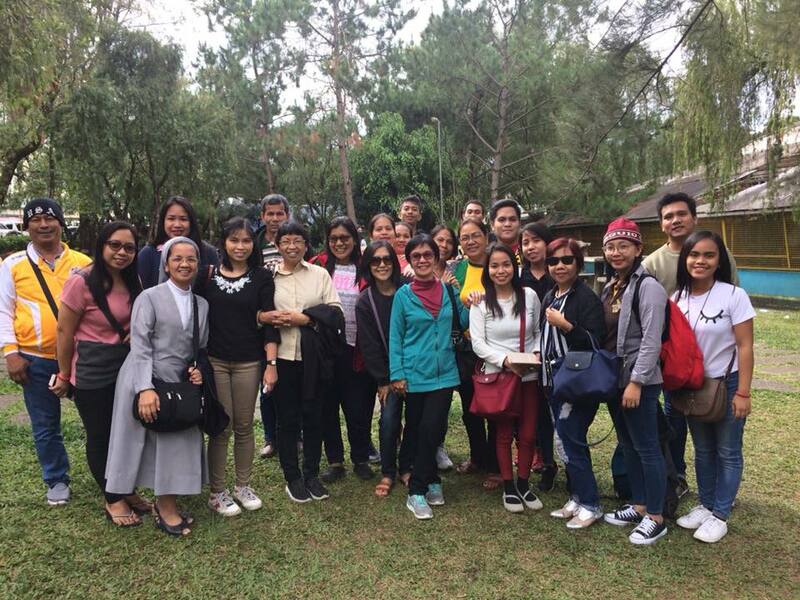 The educational tour was led by Sr. Marisa Tumbali, SPC (VP for Administration) and Dr. Juana Rivera (Director, Human Resource Management). Despite passing through the hustle and bustle city streets of Baguio, the group enjoyed jumbling with the throngs of people in the various tourists’ spots they visited. At Burnham Park, some availed of the amusement of rowing boats in the man-made lake; few strolled around the recreational area; and others went to dine. The group had a quick stop at the Mansion - the summer residence of the Philippine Presidents. After which, they proceeded to Botanical Garden, where the participants had a glimpse of the life and culture of the locals who once inhabited the upland like the City of Pines. As they continued on their itinerary at the outskirts of the City, their visit at the Mines View Park provided a breather as they beheld at the observation deck the mining town of Itogon, Benguet. The activities of the first day concluded with the participants started buying pasalubong items for their loved ones. The Mount St. Paul Retreat House (owned and managed by SPC Sisters) in Pico, La Trinidad, Benguet served as “haven of rest” for the group. After their breakfast, they headed to the vegetable market then to the Strawberry Farm. Within a given period of time, the participants explored the farm and savoured products made of strawberries. The journey continued on as the participants embarked on a pilgrimage to the Our Lady of Lourdes Grotto. As they climbed up the 252 steps to get closer to the image of the Blessed Virgin Mary, prayerful mood enveloped each of the participants. The last leg of the tour was in Camp John Hay. The group trekked the hill to have glimpse of the Bell House, Bell Amphitheater, Secret Garden, Cemetery of Negativism and the Totem Pole. The two-day tour ended at past 6 o’clock on December 28, 2017, when upon the signal of the team leaders, the bus loaded with staff and maintenance personnel was driven way back home -to SPUP.